"These kids great. They really care about the counselors. They thank you out loud for everything we are doing for them," said Sharone Ben Yehuda (cq), of Israel, who gets a hug from first-year camper Aquwanyae (cq) Carr,11, of Florissant Friday night at the Missouri Children's Burn Camp. Ben Yehuda, who is a counselor at Camp Sambra, stays an extra week to be with the kids for their week of camp. 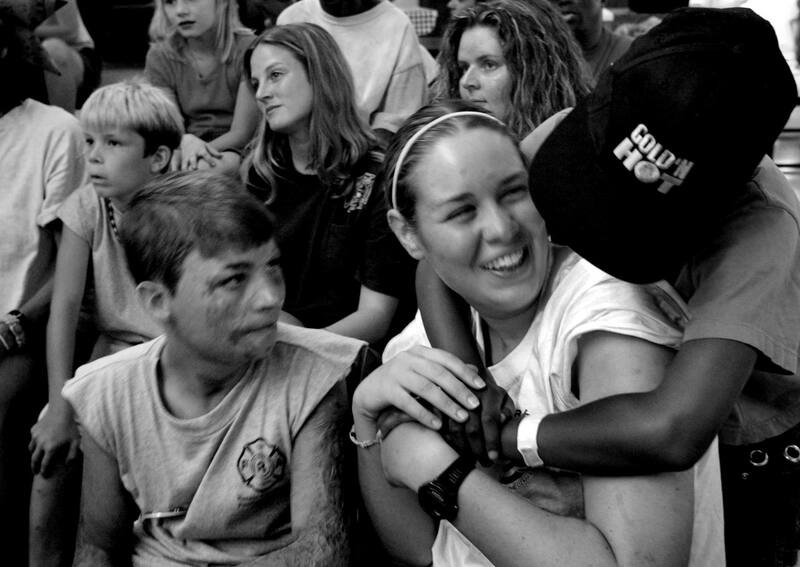 "The kids at Camp Sambra come to be with the friends and hang out with each other, these kids are just happy to be here. They're wonderful," said Ben Yehuda, about her first burn camp experience.